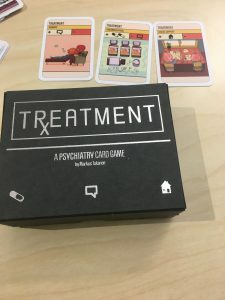 Treatment is a card game about psychiatry for 2-5 players lasting 20-30 mins. 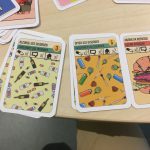 The game is played trough a number of Case cards representing patients suffering from different diseases. 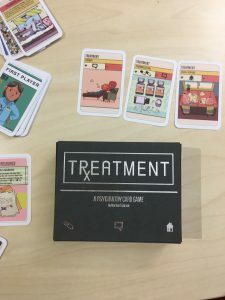 Each player plays Treatment cards to propose a treatment for that case consisting of a mix of therapy, social support and pharmaceutical treatment. 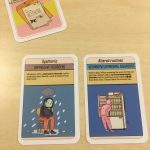 Each round a Symptom card is drawn to check if the patient suffars a symptom. 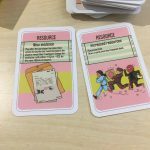 To help the players there are also Resource cards such as Helpful relatives. 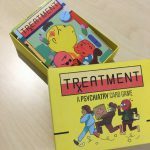 This is the Retail edition of Treatment consisting of 118 beautiful cards illustrated by our artist Patrick. 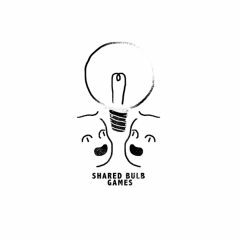 This is the version we produced for Kickstarter. 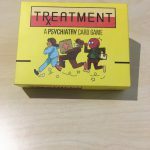 We sell the last ones here and give 8€(80 Sek) to Mind a Swedish nonprofit organisation helping people suffering from psychiatric diseases. 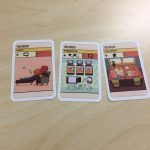 The difference in this edition is 2 cards, Hoarding and Stimulant Use Disorder. Gameplay wise this doesn´t affect much but they are super nice cards. And the unique box made by a Swedish boxmaker who makes boxes for jewellry makers. 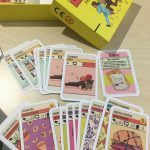 Please note that we only have 45 copies or so left and when they are gone we are never making this edition again.